Below is a rough translation of the above postcard. Translation provided by Stan Deyo and Erik Haag. 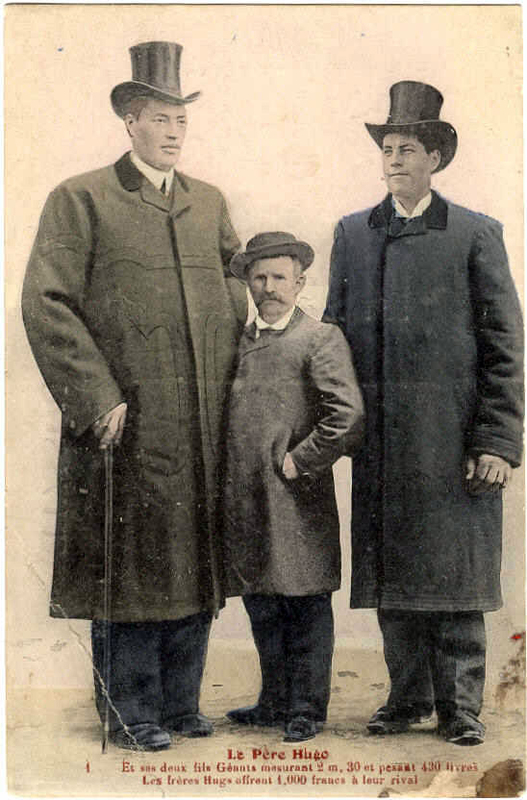 The Hugo brothers present a single case of gigantism in the world. The three are from Saint-Martin (Alpes Maritime) in a small house isolated on the mountain Baptistem the eldest, measures 2m 30cm and weighs 420 pounds. Antoine, his brother born in 1889, measures 2m 25cm and weighs 300 pounds, currently his height accrues at a rate of 10cm per years. According to the medical schools, Antoine Hugo will still grow for several more years. 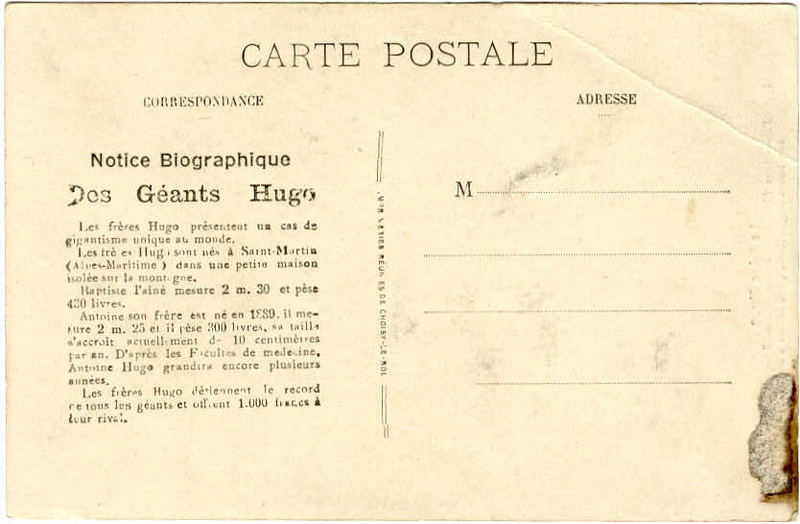 The Hugo Brothers hold the record of all the giants and offer 1,000 francs to better rival.